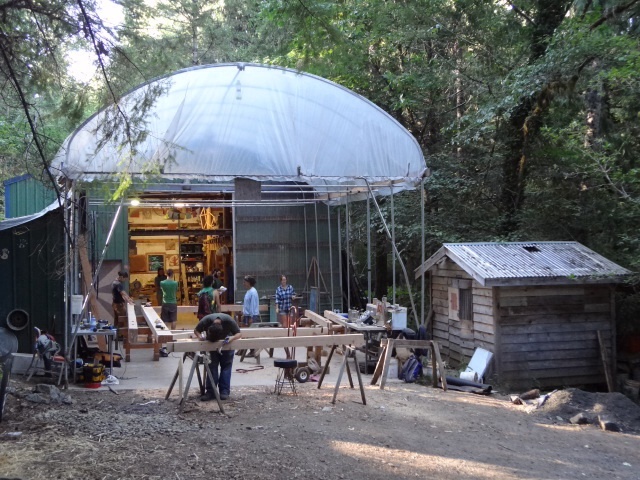 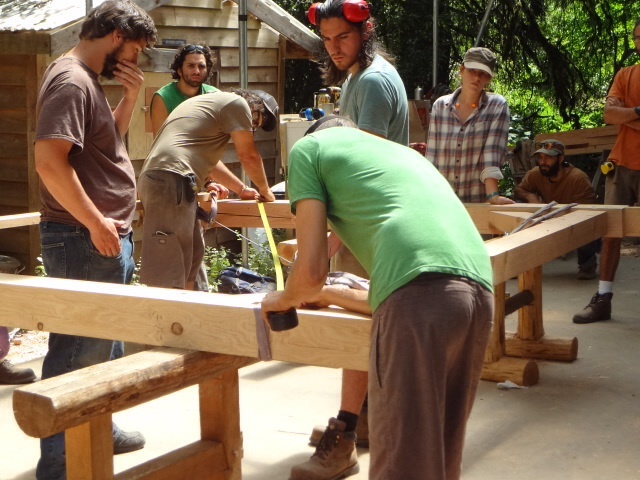 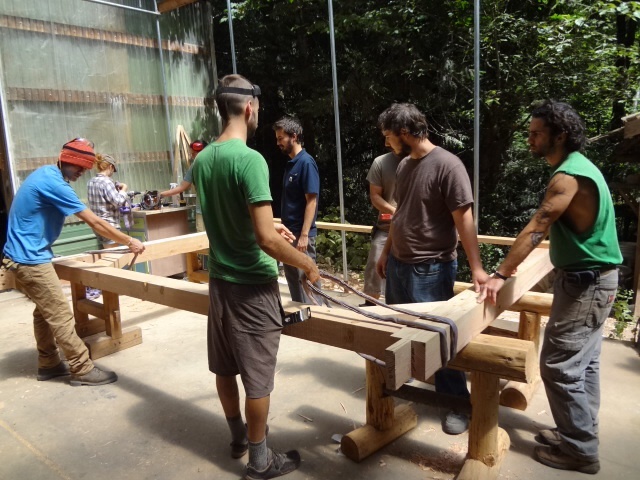 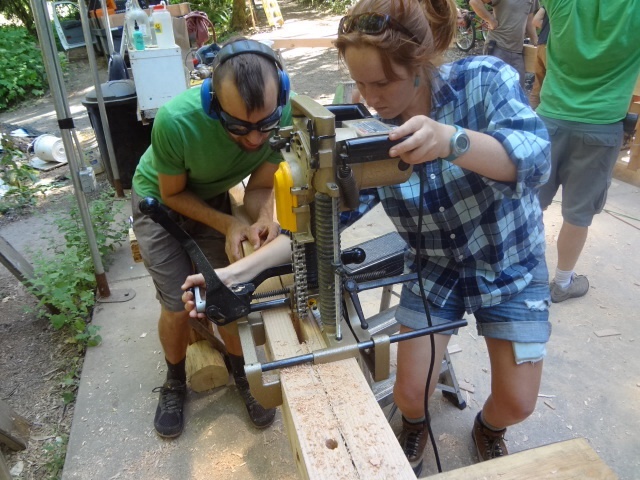 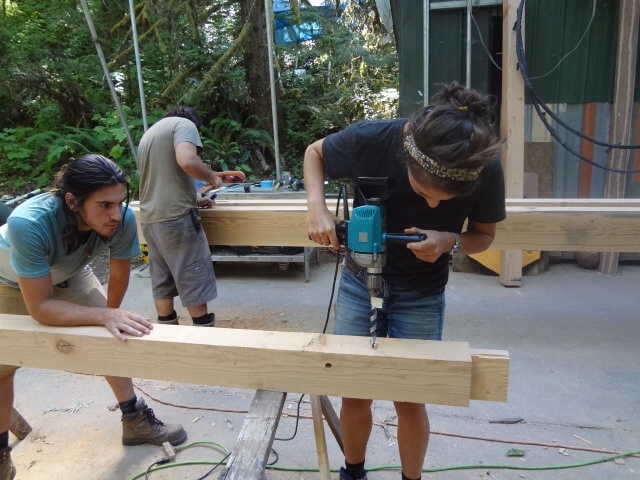 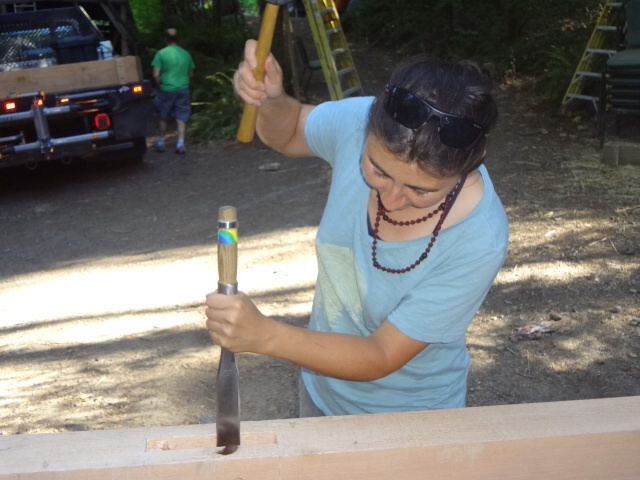 This week we had a break from the sun and spent our days on the Aprovecho campus in the workshop, building the timber frame for our shed. 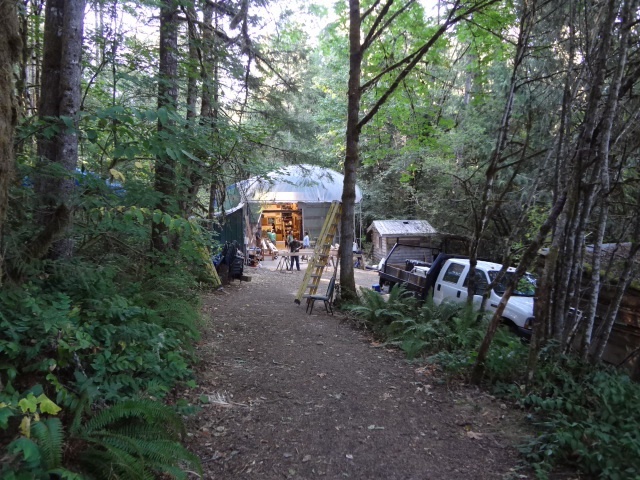 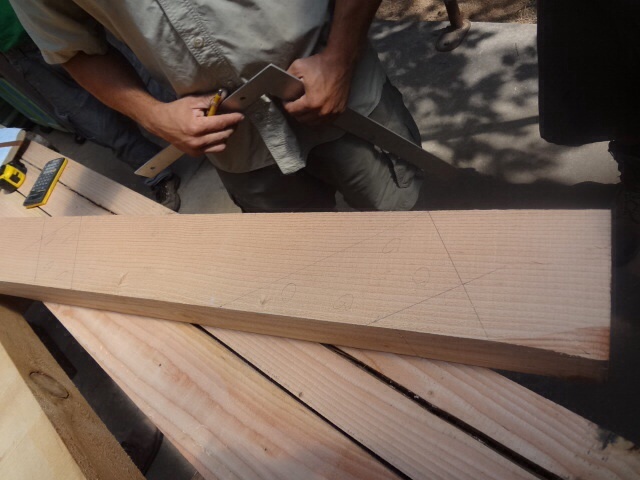 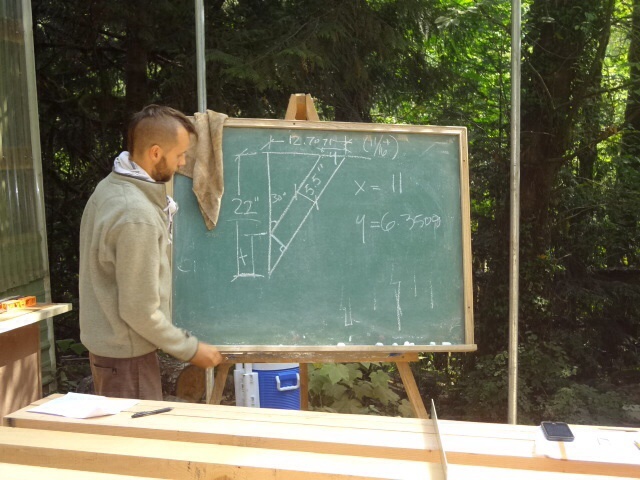 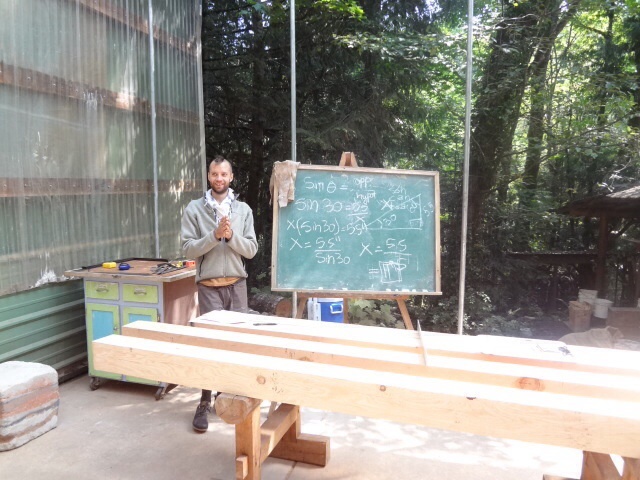 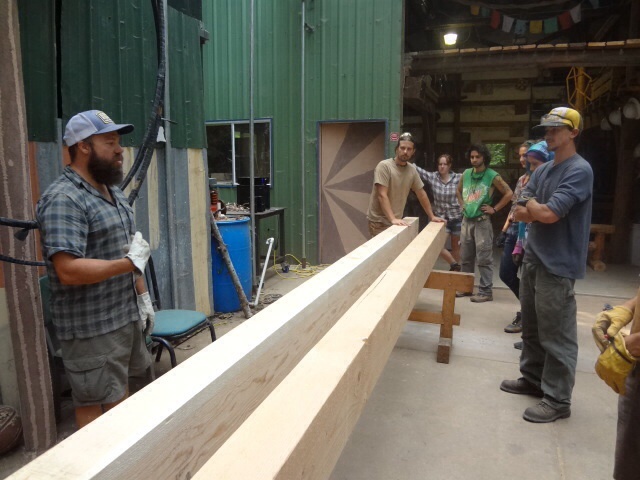 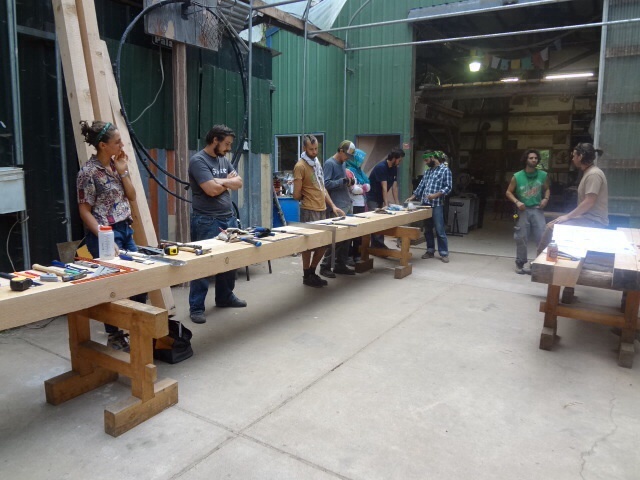 Our instructor for the week was Bill Sturm from Oregon Timberworks. 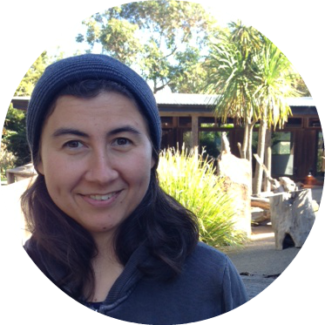 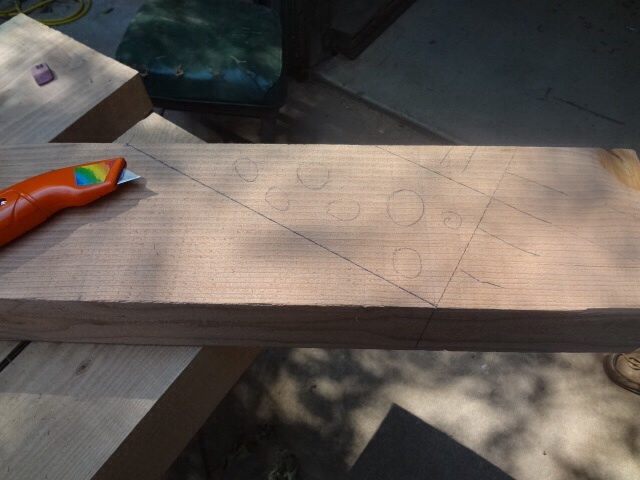 We got acquainted with a new set of tools, reviewed some trigonometry, and got to work with layout, cutting, and chiseling. 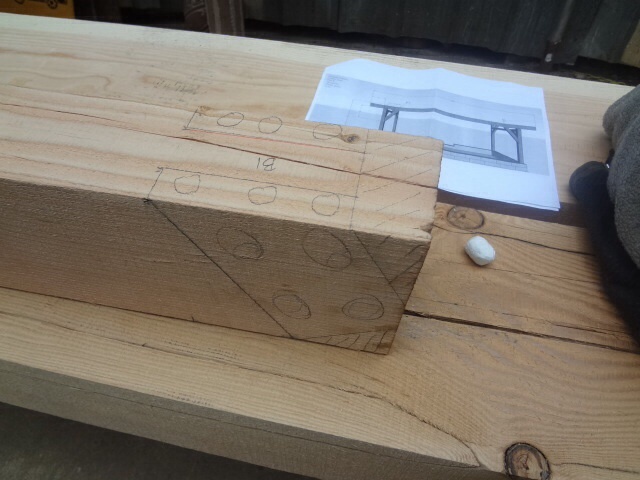 The mortises can be created by hand with a chisel, using a drill (hand or power drill) or a chain mortiser. 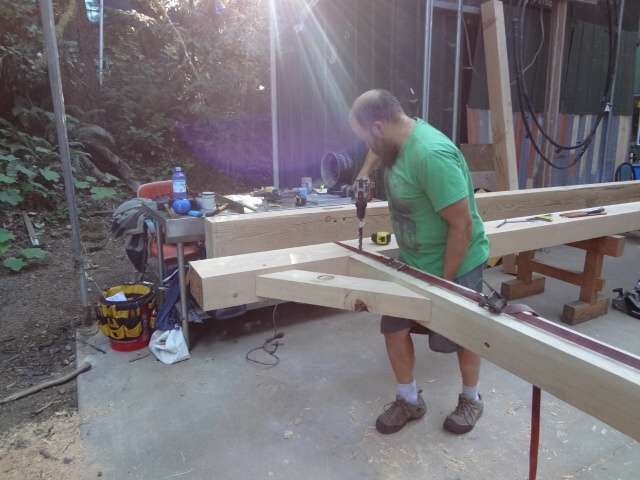 The chain mortiser is the quickest, but the tool costs something like $2000, so if you’re just building one or two structures, it probably won’t be the tool you invest in. 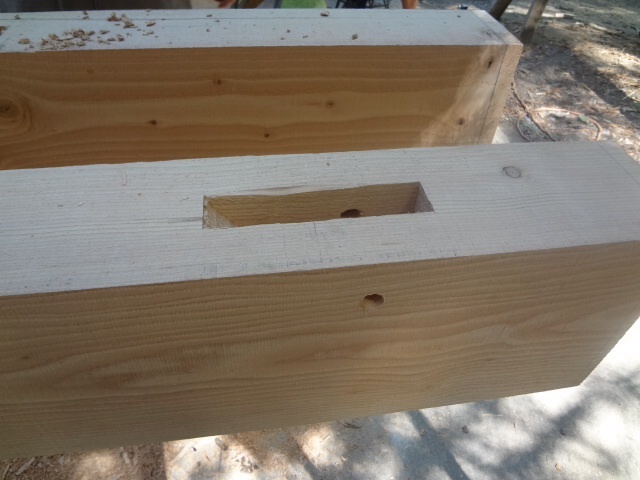 Note: The peg holes are predrilled into the mortise prior to the fit-up. 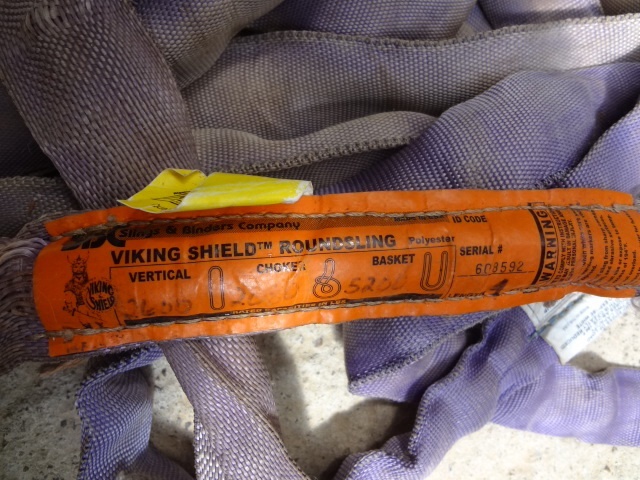 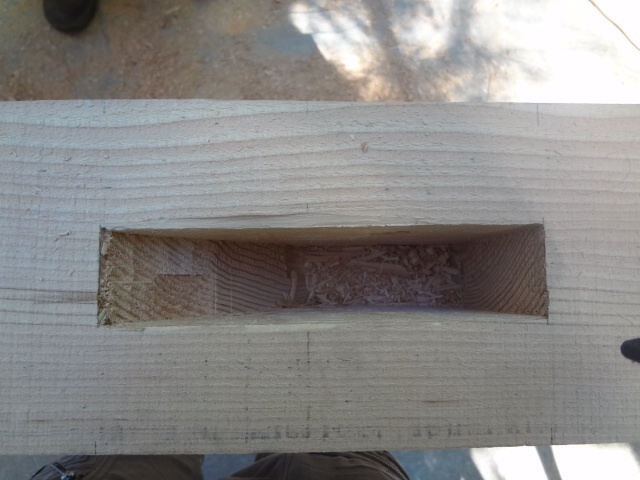 Then, during the fit-up, a drill bit is inserted through the mortise hole and notches a mark in the tenon. 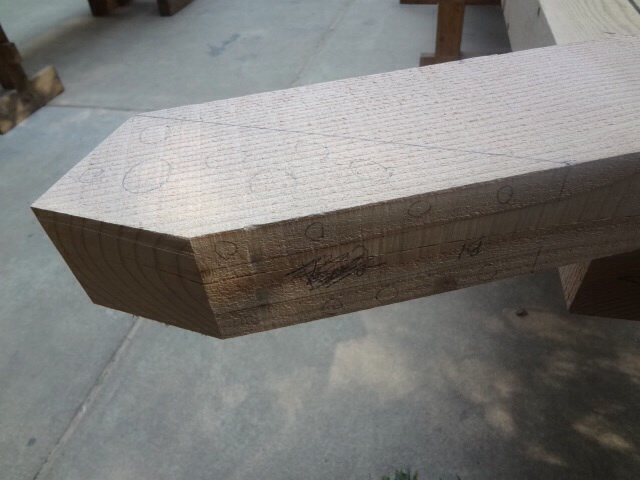 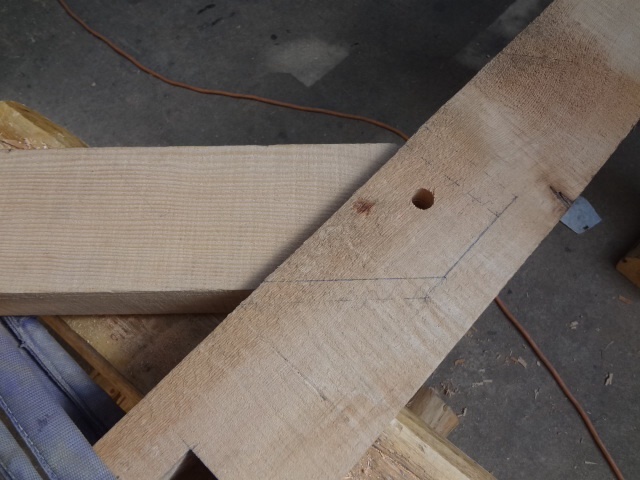 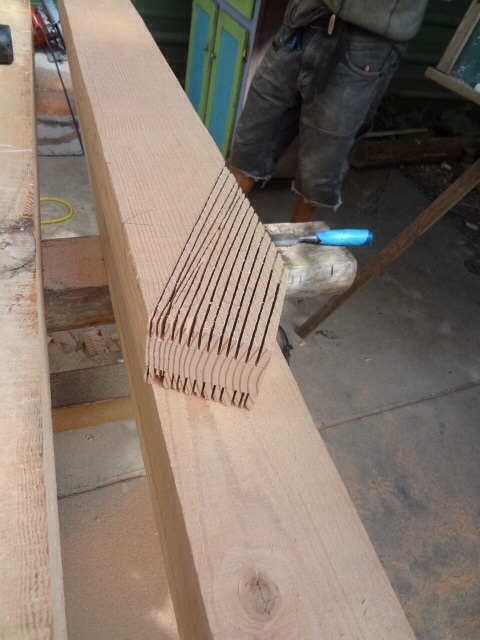 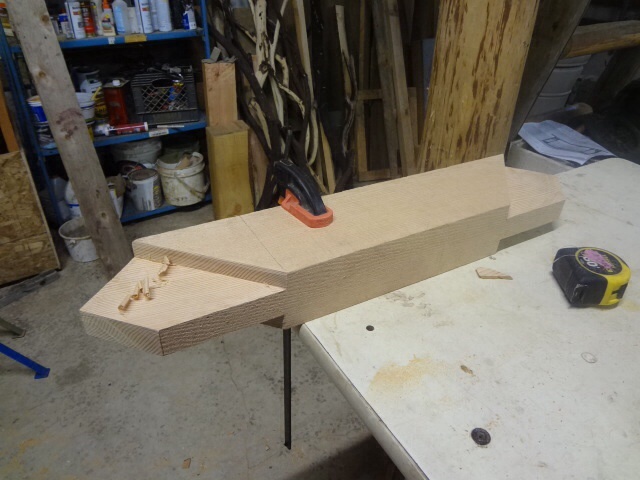 Then the tenon is removed and the hole is drilled about 1/16″ proximal to the notch mark, so that during final assembly when the pegs are driven through the holes they will draw the joint tightly together. 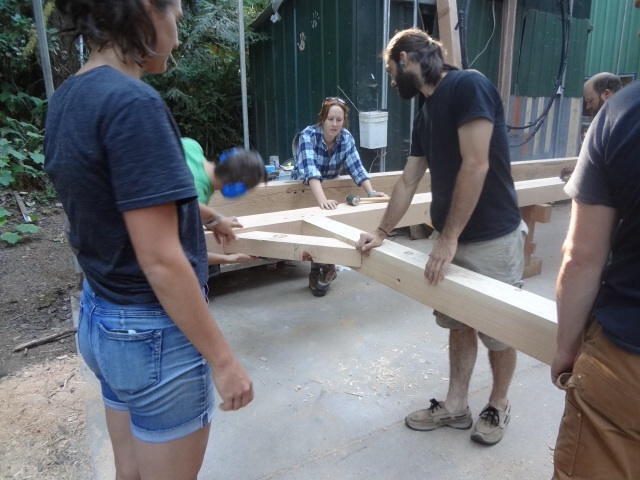 After disassembling the fit-up frame, we loaded all the pieces onto the truck and headed over to the site to raise the frame.